RastCafe is a modern restaurant offering Spanish cuisine. The average price of a 3-course meal at the RastCafe restaurant is 25 euros. Note that although GoMadrid.com strives to maintain all information about RastCafe up to date, the prices mentioned are only an indication and may not reflect the exact value of your meal. 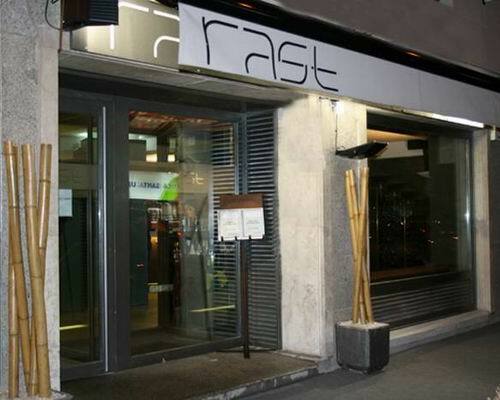 The Rast Café is a multi-functional establishment in the north of Madrid near the Plaza Castilla. They serve breakfasts in the morning and at lunchtime become a restaurante offering homemade and creative cuisine with a fixed menu of the day and possibility of ordering 'a la carte'. The menu is varied, with a large variety of tapas. Visitors wishing to dine here in the evening, have the possibility of visiting the bar area on the lwower floor afterwards. Due to having 2 floors, family and group events may be organised here. The address of the RastCafe restaurant is: Calle Félix Boix 6, 28036 Madrid. The nearest Metro station is Plaza de Castilla. Please see the RastCafe restaurant location map below.